Another infamous automobile you’ll love, like I do. Let’s have a look in the garage of another nasty criminal. The infamous, but flamboyant Reichsmarshal had been one of the key figures who enabled the German dictator to take power of his country. He then helped his master in his evil plans which lead to world destruction. He was a ruthless man, but a very acomplished flying ace from the WW1, just like his friend Udet. He also had a Horch 853 by Erdmann & Rossi. Goering was also a car enthusiast. He used to visit most of the Automobile fairs and ordered a lot of one-off cars from the best German coachbuilders; Voll und Ruhrbeck, Erdmann und Rossi and several others. He was, like his dictator friend Hitler, a compulsive buyer of Stuttgart marvels. But unlike Hitler he has been time after time unfaithful to Mercedes, favoring other car brands such as Horch, Maybach and surprisingly Buick and LaSalle (the poor man’s Cadillac)! Several photographs show the dictator’s henchman in his Buick torpedo, even when parading. Yes, Hitler apparently accepted that the Reichmarshal frequently used his Buick. Sounds incredible, but the Reichsmarshal was an eccentric man and also devilish like the lot of them. His most beautiful ‘Luftwaffe Blau’ car and his favorite was his legendary Mercedes 540K Spezial Roadster. To me this is one of the most beautiful cars ever. This Azure blue example was nicknamed “Blue Goose”. Goering gave names to all of his cars and even had their names painted on the rear wings! 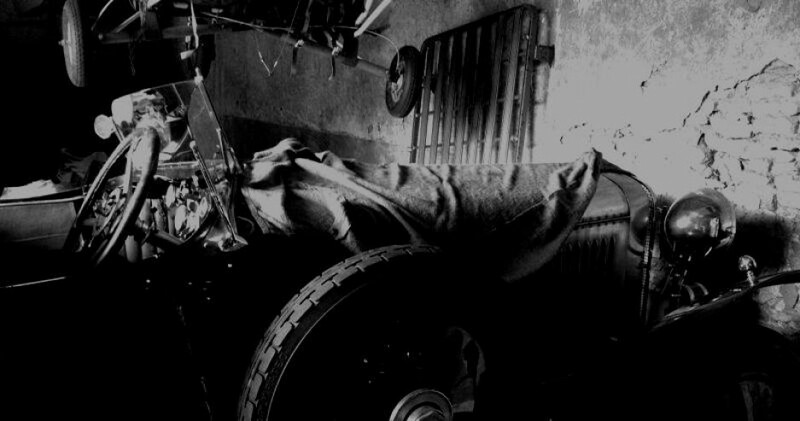 “Blue Goose” was a bespoke Spezial Roadster, ordered fully bulletproof, which is ‘very useful’ on a open car. Someone at Mercedes used to say that the thicker the armoring the less popular was its client. “Blue Goose” featured several other special options, such as a Stuka, which is an aircraft fighter siren. To our relief we can now leave the exponents of the most awful period in German history behind us and move on, in the next issue in this series, to see which great cars another criminal of war was driving.